So the theme of the blog for the next week is going to be childhood memories. No not the kind I speak to my therapist about, I don't have funny anicdotes or photos for those events, but I have some cool ideas and I hope you'll like them. These are in absolutely no order, but my brain is buzzing which makes me happy that I have so much to remember to make me smile. Let's start with cheating a little bit by having two things, but they featured heavily together back in the dizzle so that's my get out clause. 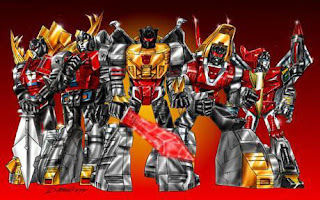 It just didn't get much better for a young boy than the Transformers. 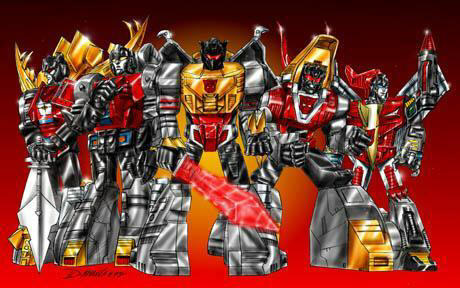 And to have these guys doing battle on Earth or Cybertron was a dream come true. 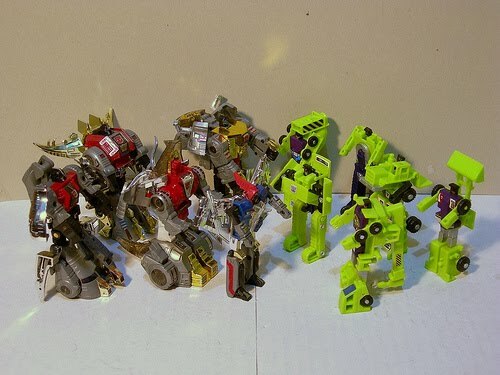 I could have chosen so many charaters from the show (ok let's be real the toy collection), but there was nothing like the mighty Dinobots & Constructicons!! I wanted to give a special mention to some of the other characters but it's just impossible. I loved so many.